Learning to identify a plant is good. Learning to identify an edible plant is better. Learning to identify an edible plant that's been under my nose for years is downright awesome (and sure, a little embarrassing). It reminds me that discovery doesn't need to be done in far off lands; you need only pay attention to your daily surroundings. 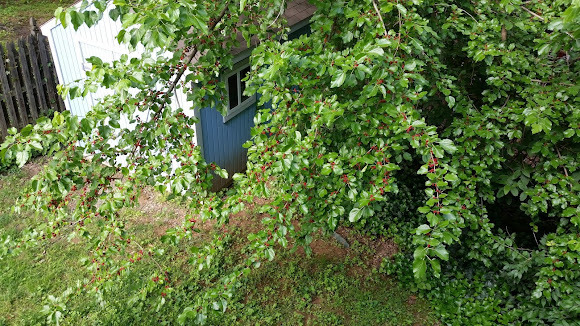 So, here's a question: how far do I have to go to find a tree bearing edible fruit? 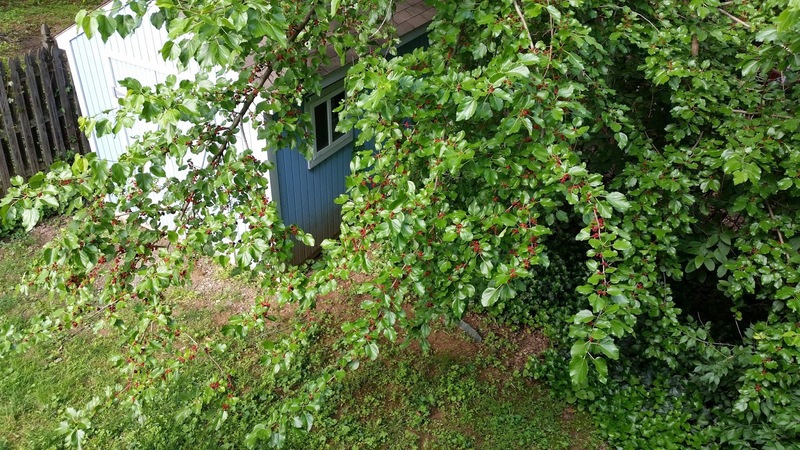 That is, a tree I can casually walk up to and pick a handful of fruit from and toss it in my mouth? 5 Miles? 1 Mile? 1,000 yards? Try like 3 feet. All this is very exciting, though there are a few catches. First, when Walter Reeves reports that "The fruit is edible but not exactly dessert quality", he's being generous. After sampling my handful of berries, I'd say the fruit is somewhere between bland and blah. Also, the berries stain everything, a fact I've known for years. But, Mulberries do apparently have some upsides. First, they can be used as a basic replacement for blackberries. So, they work for pies, jams and as additives for pancakes, oatmeal, and pretty much any place else fruit goes. The leaves can be made into tea, which I'm almost certainly going to have to try. You can also make ink from the berries, which puts their staining effect to good use. 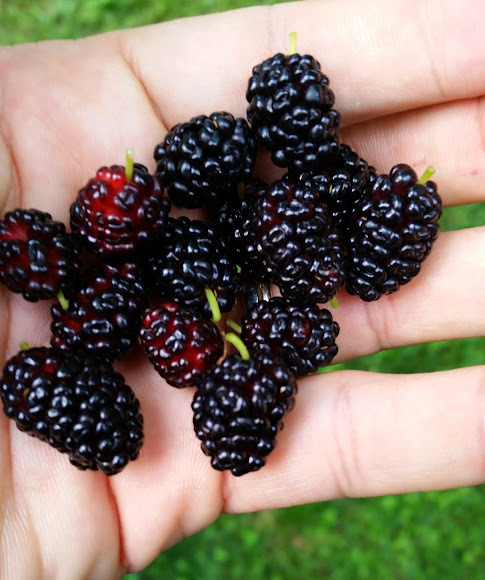 According to the Internet, mulberries are packed with important health benefits. 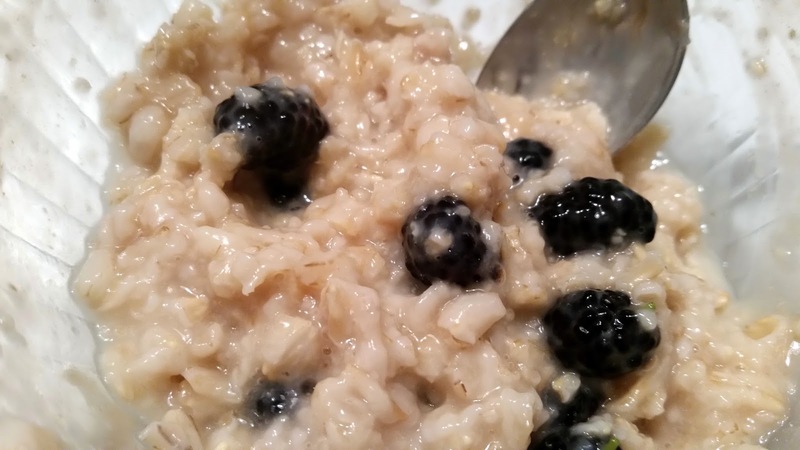 I'm not sure I'm sold on all this, but it did make me feel better adding them to my oatmeal this morning. The placebo effect is still an effect, right? But most importantly, I made yet another discovery. Hurray! 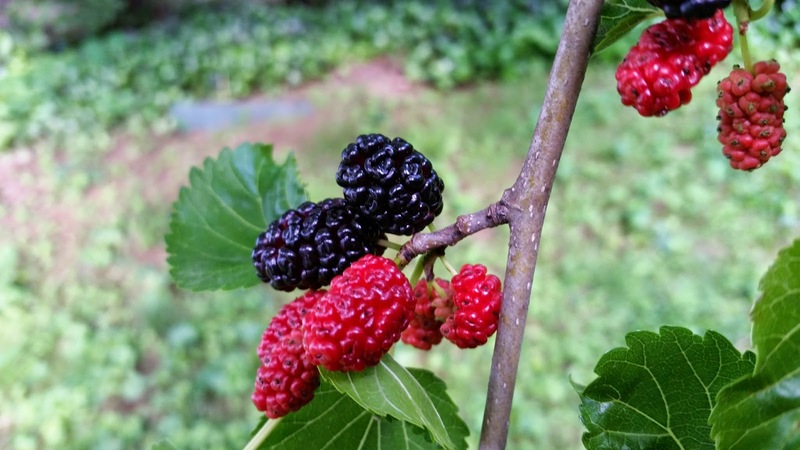 Try the fruit of other mulberry trees. Some trees, such as yours, produce tasteless fruit. Others, however, produce truly delicious berries. And if you spot a white mulberry, try its fruit. They're not nearly as common, but there's one in the next block from my house. Thanks Mike! I took your advice, and you're absolutely right -- a bunch of berries I sampled on a walk we took through Arlington had a noticeably sweeter taste.